Samsung has revealed a lot of products in this IFA conference till now which include the Galaxy Note, the Galaxy Tab 7.7, Series 7 PC Slate and more. 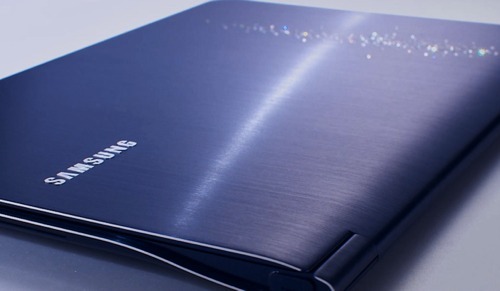 There’s one more sparkling model presented the Limited Edition Version of Samsung Series 9 ultra-thin notebook. Well this is really a glittering model as it comes blitzed out with rhinestones. This Limited Edition Version with the crystals really gives it a luxurious look. This Edition of these notebooks will be in the market by Christmas. They will be available in Luxury Rose Gold and Moonlight Blue metallic finished colors. If you are really planning to gift someone a notebook, this can really be the perfect option.